The Better Tower Crane Sign Solution. 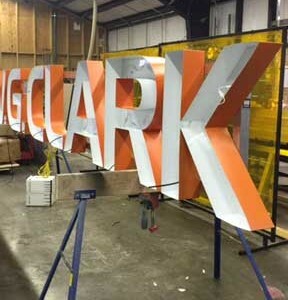 for a light rigid sign - usually under 150 lbs! power supplies to produce bright reliable lighting. Our signs are built with long term use in mind. The value of signage on tower cranes is obvious, easily seen from great distances and typically viewed by tens or hundreds of thousands of people daily. The cost per impression for these signs is likely the best bargain of any advertising available. Our work within the construction industry led us to see the need for tower crane signage that could be easily read. We have developed and tweaked a process to design, fabricate, and ship signs for tower cranes anywhere. 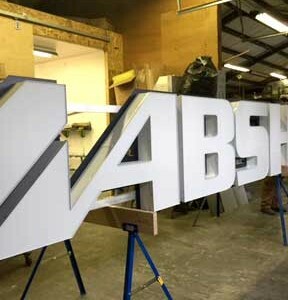 Our signs are bigger, brighter, and better than any of the other solutions now used in the industry on cranes. Fly by drone to see our signs in action. Some tower crane signs we’ve made lately. ”"Thank you so much for helping us find a signage solution for tower cranes on our project sites. Your product design provides better visibility than traditional signage options we have tried, such as banners and light boxes. While I haven't seen the signs on our Louisville Arena project for myself, I have heard nothing but good things. I appreciated the various alternatives you presented as we were finalizing the signage design. Although it took me a while to decide exactly what I wanted, you patiently offered suggestions and solutions, which helped build my confidence in your expertise. ”“I worked with Tower Crane Signs on the 1015 Half Street Project in Washington DC; a 420,000 sqft speculative office development for Opus East L.L.C. 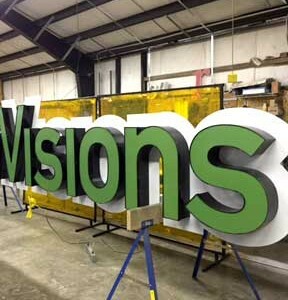 TowerCraneSigns.com is a division of NW Signs Inc. a company with over 25 years of custom sign experience.